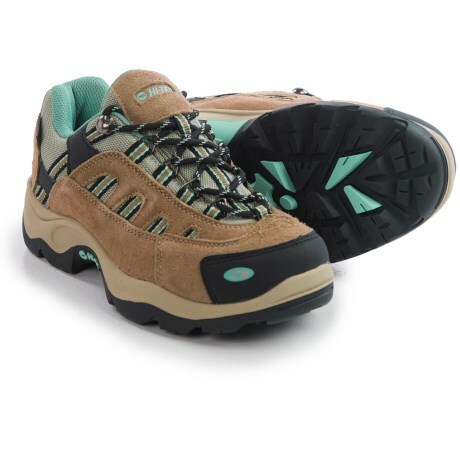 The Hi Tec Bandera Waterproof Hiking Boot is a great value on a durable hiker. Proprietary waterproof breathable membrane helps keep feet dry and comfortable. Large, rustproof eyelets for easy in out. Waterproof suede leather and mesh upper. Waterproof bootie construction. Moisture wicking lining keeps the foot dry. Soft collar for added comfort. Rustproof metal hardware. Hi Tec removable contoured insole. MDT rugged rubber outsole is great for all terrain and durability. Your browser isn't supported for displaying eBay items. Go to eBay to search for Hi Tec Bandera Waterproof Hiking Boot Mens.